This January, our long-tenured Founding and Senior Pastor Tim Celek announced his succession plans to our church congregation. 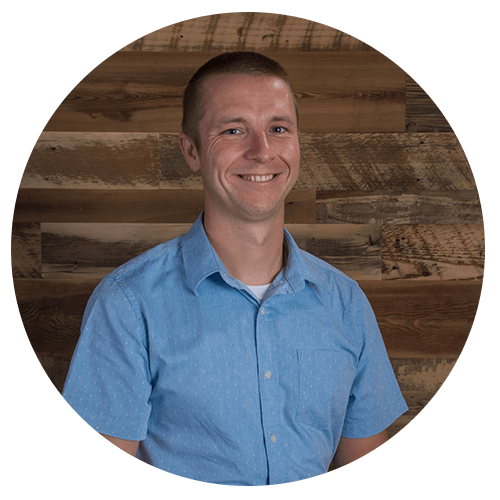 With great excitement, Tim shared that Andrew Brownback, our present Adult Ministry and Teaching Pastor, will step into the role of Lead Pastor of The Crossing effective October 2018. This announcement brings to fruition a several year succession process that Tim has led, alongside the Board of our church. This transition began over a year ago with intentional coaching and mentoring that will continue through the hand-off of leadership in the fall of 2018. Much has changed through the years, yet the one constant has been our belief in a very BIG God and His miraculous handiwork in and through our church. We have seen thousands of lives supernaturally changed forever. We know this Lead Pastor change has been God-inspired and God-led. Tim strongly felt many years ago that it would be important to position The Crossing for continued impact for generations to come through a well-planned leadership transition. For more than five years, Tim and the Board of The Crossing have read, watched, listened, and sought out best practice wisdom regarding the succession of a long-tenured leader. Over two years ago, Tim and the Board initiated a nationwide search process to select the person who would join Tim in a two-year intentional leadership changeover, and Andrew Brownback was selected from numerous candidates. “Right from the beginning, a bond was forged between Andrew and I,” Tim remembers. Andrew, Melissa, and their two boys, Evan (4) and Keller (2), have settled into Costa Mesa from Chicago, quickly falling in love with both the climate and the people of our community. “They, like Sue and I, are from the Midwest. In October 2018, The Crossing’s 30th anniversary, Tim will step down from his position as Senior Pastor. At that time, he will take a brief break from The Crossing; however, he will continue to be engaged in an ongoing coaching relationship with Andrew, and will periodically speak on weekends as a part of The Crossing’s teaching team. When will Tim be stepping out of the role of Senior/Lead Pastor of The Crossing? October 1, 2018, Tim hands over the strategic, directional and primary leadership of The Crossing to Andrew. Will Tim still be on staff at The Crossing? Yes, Tim will have a role on the staff of The Crossing. However, for a portion of time following October 1, 2018, he will take a break. Periodically, Tim will be speaking during weekend services. Will Tim still attend The Crossing? Yes, after a period of time away, Tim and Sue plan on remaining a part of The Crossing. Will Tim remain on the Board of The Crossing? No; our church’s constitution and bylaws allow for only one paid staff member to be on the Board, and that is the senior and lead pastor of The Crossing, which at that time will be Andrew. Are there other changes that will be happening because of this change in senior leadership at The Crossing? Over the 30 year history of our church, there has been continuous change; through the various alterations, adjustments or additions, we have seen God’s powerful hand. As we see throughout the Scriptures, “change” entered into with a spiritual sense of anticipation results in growth. We desire this sort of growth for ourselves and for our church. How was Andrew selected to be the new lead pastor? Tim and the Board of The Crossing have been on a multi-year journey of understanding the best practices of successful pastoral successions. We made the decision to look outside of our staff for an individual who would be involved with Tim in an intentional two year overlap of transition. After a national search using a professional search firm, we wholeheartedly selected and offered Andrew Brownback a position on the staff of The Crossing with the understanding he would be transitioning into the role of Lead Pastor in the fall of 2018. Will the focus of The Crossing change? The mission and vision of The Crossing will not be changing. Our mission is to help people saying no to God say yes to Him through Jesus. Our vision is to be the kind of church that unchurched people want to come to and bring their friends. This focus will not change. However, as culture and society shift, we need to understand the signs of the times and adapt our methods to continue to reach and grow people for Jesus. How will Tim be a resource to Andrew after October 2018? Tim and Andrew will have a consistent time for coaching and encouragement. Sue has been part of the journey with Tim for 30 years, how has she been a part of this transition? Tim and Sue have partnered together to prepare for this transition since Tim initiated his planning for succession a number of years ago. Together, they have been praying, planning, and preparing for a successful transition. This has been a joint endeavor for Tim and Sue. They have seen the powerful movement of God in their lives over the years. Therefore, they are looking forward to seeing what God has in store for The Crossing, Andrew, as well as themselves. What can we help throughout this transition? Please know Tim and Andrew welcome your prayers as they continue this intentional transfer of leadership through October 2018. Pray for Andrew as he assumes the various responsibilities of senior leadership. Pray that our church congregation steps into unprecedented levels of growth and engagement. Pray for Tim and Sue in the initial months post transition that they would enjoy a renewed time of connection with one another, their children and grandchildren. Andrew Brownback was born in the suburbs of Chicago, and spent his first 18 years living in Palatine, Illinois. Although his family attended church when he was young, he felt that faith had no place in his life, and by middle school he walked away from church. When Andrew was in his 20’s, someone finally had the opportunity to re-introduce Andrew to Jesus. After falling in love with God, Andrew began questioning why it had taken so long for someone to introduce him to Jesus. This question instilled a core conviction in him to be a part of a church where every single person has the opportunity to meet Jesus, and is challenged to invite people to meet the God who loves us, cares for us, and died for us. After graduating with a Bachelor's in Ministry and a Masters of Divinity degree in New Testament studies from Lincoln Christian University, Andrew was offered an internship with Willow Creek Community Church in South Barrington, Illinois, the church at which he was introduced to a relationship with Jesus. He worked for six months as an intern in the Small Groups and Sports Ministries, and over the next nine years he worked his way to Associate Pastor at Willow Creek’s North Shore campus. When Andrew, Melissa, his wife of nearly 12 years, and their two children Evan (4) and Keller (2) moved to California 2 years ago, Andrew began the intentional mentorship process with Tim, being coached and encouraged in preparation for this new emerging role of Lead Pastor of The Crossing. 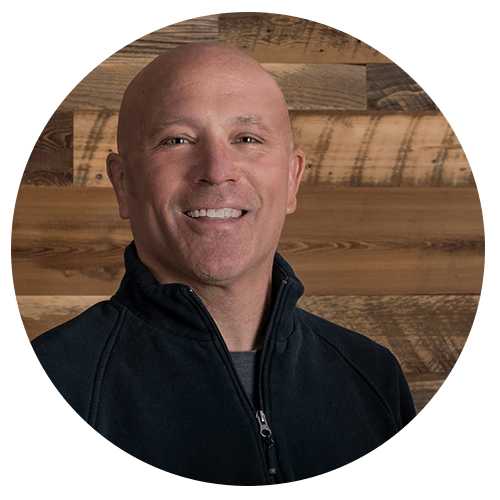 Tim Celek has served as The Crossing’s Lead and Founding Pastor for nearly 30 years. During this time, he has grown the church from a handful of people to over 2,500. Thousands of lives have been impacted locally and globally through Tim leadership of the people of The Crossing. Tim passion, first and foremost, is reach, touch and speak to those who are saying no to God, to those who are far from God, giving them an opportunity over time to say yes to Jesus. Tim’s leadership has unleashed unprecedented engagement with our local community, through our schools and city. This has resulted in thousands of volunteers taking part in several school campus makeovers, reading programs for kids, ESL classes for adults, and services for the homeless. Our recovery ministry, Lifelines, was birthed nearly at the outset of the church’s beginning, This ministry has helped restore thousands of addicts to a life of sobriety. The Crossing weekend services consistently touch the lives over 2,000 adults and children on a monthly basis. Tim’s vision is for the church to be a place for ALL people, regardless of their ethnic, cultural, economic, or educational background. His goal is to see the church teach the Bible in a way that is meaningful and relevant to each new, emerging generation. Tim began his career in ministry at Calvary Church Santa Ana, where he served as the Singles Pastor. Calvary Santa Ana then offered Tim the opportunity to plant a new church in the city of Costa Mesa in the fall of 1988. The growth of this newer church plant on the corner of 23rd and Orange required moving to a new site. In 2001, The Crossing broke ground on a 4.7 acre site on Newport Blvd in Costa Mesa. Tim has lead the church through four successful capital campaigns raising over $13 million dollars, as well as, secured and built over $25 million in land and buildings, which include a 1,200 seat auditorium, 60,000 square feet of buildings and 4 story parking structure. Tim currently lives in Costa Mesa, with Sue, his wife of nearly 40 years. They are parents and grandparents, with two married daughters and two grandsons; Emily and Taylor have 8-year-old Lucas, and Lauren and Jeff have 1-year-old Elijah. Tim enjoys riding his Harley, pleasure sailing, and spending time with his growing family. Tim currently lives in Costa Mesa, with Sue, his wife of nearly 40 years. They have two grown daughters, Emily and Lauren, and two grandsons, Elijah and Lucas. Tim enjoys riding his Harley, pleasure sailing, and spending time with his growing family.